Back to exploring more obscure women crime writers, I ran across two books that have luckily been reprinted to make them widely available to modern readers. 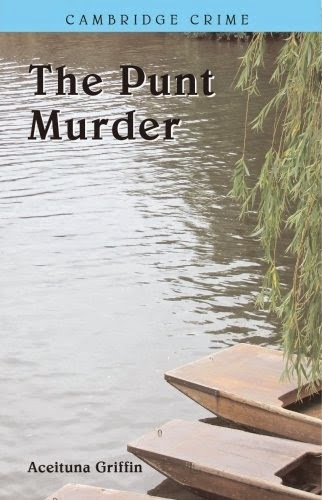 One, The Punt Murder, is set in Britain's interwar period and Miasma takes us to America in at the end of the 1920s. They are as different as night and day, and while both made for enjoyable reading, Miasma has that dark edge that I absolutely love to find in a crime or mystery novel. "... the ideal setting for the mystery novel is the imaginary world of the country house. There, supposed balance and harmony is broken by the act of violence, just as in the real world it had been broken by the war. That is why the ideal murderee is the nouveau riche millionaire, the embodiment of the economic upheavals, contrasted with the dwindling resources that had kept the grand old families going". I've been wondering about why so little is put into these novels about the social/economic upheavals of the time -- and now after reading this (and some other things I've been perusing) I'm beginning to understand. Anyway, the "nouveau riche millionaire...contrasted with the dwindling resources" of the "grand old families" is at the very heart and soul of The Punt Murder, of which the main character is an incredibly wealthy but very young heiress who marries into a very old but now broke British family. Her name is Merle Holroyd, wife of the squire of Wissingham. The family home, naturally called Holroyd, was given over to the family by Henry the Eighth although it had been around long before Henry's time. It isn't long until fireworks start to fly as the traditional world of village squire collides with the modern, as Merle refuses to conform -- and her greatest weapon is the huge inheritance she's brought with her into the marriage. When she realizes the truth behind her marriage, she looks to another for happiness; sadly, the man she has latched on to is an up and coming MP whose career cannot tolerate any scandal. Soon, however, there's a murder during a lavish fete, and while the police are satisfied with their choice of suspect, one person has the wherewithal to ask questions, which upsets everyone in the village. With no shortage of suspects, things start to get ugly very quickly. Moving backward in time, Miasma was published in 1929 and has (luckily for me) been reprinted by Stark House Press, whose motto is "Bring back the mystery." I stumbled onto this small press quite by accident one day, and their list of reprinted vintage crime novels is impressive. "one of the first to write mystery novels that didn't so much ask whodunit, but whydunit,"
"Does it matter? Or can't Justice be satisfied without the whole show -- the judge in the black cap, and the newspaper stories?" Third, this book is so claustrophobically dark that it's one I had to put down from time to time just to get out of this very small world in which the main character finds himself -- in this sense, the title is very appropriate. And considering it was written in the late 1920s, it deals with a subject that is of contemporary interest, although I won't say exactly what it is so as to avoid spoilers. Miasma is the story of Doctor Alex Dennison, who is ready to establish his own medical practice. Before moving to the town of Shayne, he did a lot of careful research to make sure that there "was room for another doctor" there. He so wants for everything to go right with his career, largely because of Evie, the girl he's planning on marrying, but only after he's made the three thousand a year Evie's decided will be enough for them. But Dennison's attempt at a practice fails big time and he's virtually on the edge of starving when he decides to take up an offer from another, more well-known physician in town, Dr. Weatherby. He doesn't have to do much -- see a few patients when Weatherby's busy or away, and he is invited to live in the fine home where Weatherby also houses his practice. It's a win-win ... he's calculated that he will reach his financial goals easily, and room and board are free. But as soon as he steps into the house, he has the feeling that something is not exactly right -- that things are a bit off-kilter. This is a feeling he ignores and when strange things start happening, he goes deep within himself to look for plausible answers, a strategy that works...for a while. To say that this is a good book is putting it mildly, but then again, I suppose it depends on what "a good book" is to people besides myself. This book has a focus on character much more so than plot -- and although it might feel like it's slow moving, it's one of the better character-based mystery novels I've encountered. I was impressed with the author's ability to get right inside of Dennison's head from the outset -- nothing, absolutely nothing happens outside of what Dennison sees or more importantly, what he thinks, even though this story is not related as a first-person narrative. That fact is impressive -- the telling almost reminds me of something from Patricia Highsmith, although it's not nearly as dark as her work. Dennison is in a constant battle with himself internally -- and it plays out rather realistically on the page. Frankly, I was hooked on page one and had I not put the book down here and there I easily could have been depressed being so much confined to Dennison's constant headspeak. Then again, that claustrophobia-like atmosphere sets this book apart from the standard crime fare -- a trait that to me, speaks very highly of this author. So, to recap: there's one whodunit, which is pretty good and which also takes on the intrusion of the modern world into Britain's rigid class system in which appearances are everything, and then there's the "whydunit," my own personal preference in choice of crime/mystery fiction, which immediately immerses the reader inside the mind of a poor, down-on-his-luck guy just looking to do right by everyone, except, possibly, himself. The Holding is my favorite of the two but both are well worth looking into for anyone who likes vintage crime or mystery. And one more thing ... Miasma comes in a volume with two complete novels, as do her other works reprinted by Stark House Press, but I'm reading them in chronological order rather than as they appear in the books. Well now here is something entirely different -- rather than having an entire series follow a main character's arc, James Sallis manages to put it into one book. There are five books which follow this one in his Lew Griffin series which I haven't read, but The Long-Legged Fly covers a span of time from 1964 through 1990. Set in New Orleans, each section of The Long-Legged Fly centers around Griffin's search for someone who is lost. Taken as a whole, one could argue that Griffin is also searching for himself in this book. Who is this Lew Griffin exactly? When we first meet Griffin, he's hell-bent on vengeance and actually kills a man before he goes back to settle into his office where we discover he's a PI who is friends with a local cop -- pretty much standard pulp-fiction fare. Then another surprise -- he hits the skids and comes back as a collector for a loan outfit, spending time in a halfway house after weeks of detox for his alcohol problem. At some point he becomes interested in writing and changes his life again, becoming the author of a Cajun detective series, until there's a big twist at the end where just who is actually doing the narrating becomes a central question that forces the reader to completely re-evaluate everything he or she has just read. "a way of letting you get outside -- outside the sixteen or eighteen 18 hours you had to work every day, outside where you lived and what your children had to look forward to, outside the way you just plain hurt all the time." "...the city doesn't much care about any of us individually, let alone a sixteen year-old girl from Clarksdale." It's also in part two where we discover that Lew had served in the military as an MP and had a penchant for "busting heads." 1984 comes along and we find Griffin in a hospital doing detox after he had hit bottom -- committed by the court. He is in the care of a British nurse with whom he falls in love; through her he feels "new worlds opening within him" that he knew were always there but he could never reach. 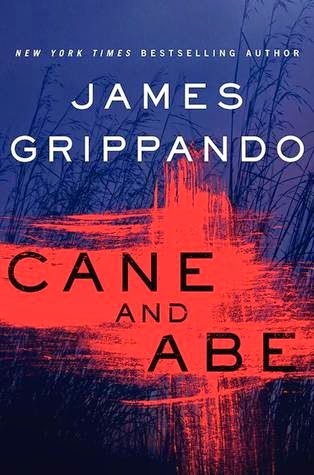 While staying at a halfway house he meets someone whose life is cut short by gang violence in the inner city, but not before Griffin had agreed to find the man's missing sister. Six years later, things have really turned around for Lew; he's become a successful detective novelist, a part-time teacher, and life is good -- up until the day he gets a call about another missing person, this time someone he knows very well. Once more its time time to take stock -- and reflect. Clearly, this is no ordinary man and Griffin is definitely not the stock PI of pulp fiction. There is a certain rich interplay of elements in this book that makes it unlike any other in this genre. First, there's New Orleans, a city that, like Lew, reinvents itself while keeping its history intact; there's also an abundance of literary references and references to local blues artists and their work. Griffin has to work through a lifetime of pain and, as noted on the back-cover blurb, he fears "becoming as lost as the frail identities he is trying to recover." 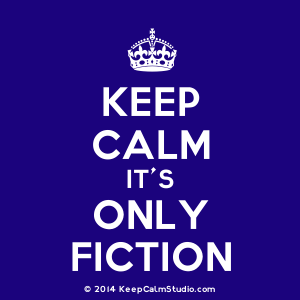 I genuinely appreciate an author who allows his or her characters to discover themselves around a plotline rather than making the plot the central focus of a novel -- and since I prefer understanding people and why they do what they do in a given situation, I've always felt a plot should be secondary with characters first. Then again, not everyone reads like I do, so readers looking for a fast-action, pulpy PI novel will definitely not find it here. Readers who also prefer a strictly linear chronology may also not care for this one, but for me, The Long-Legged Fly is something completely out of the ordinary. Recommended with absolutely no qualms whatsoever, but mainly to readers who are much more into fullness of character rather than straight-up action. I have no idea when this book is going to be published in the US, but it's definitely one worth looking into. Although I'm posting about it in the same space as other crime fiction, I'm not exactly sure that particular moniker fits this novel. Whatever you want to call it, it is an interesting work that in my opinion takes reader expectations and turns them on their heads in a very big way. What it centers on is truth and reality; however, having read von Schirach before, I'm not surprised to see his ongoing themes of the nature of crime, the judicial process, and the nature of guilt repeated in this novel. The way this book is set up is genius -- sadly, I can't really recount much of the story without giving too much away. What I can say is that von Schirach carefully guides his readers through the story of Sebastian von Eschburg, who as a young boy lived with his parents in a lakeside home up until the time his father kills himself. His mother had always been inattentive to him, preferring to bestow her love on her horses, but his father spent time with him, for example, taking him hunting. On one such trip, Sebastian watches his father bring down a deer -- and the experience is one that stays with him for a very long time, as will his father's suicide, which his mother tried to convince him was just a bad dream. She also tries to convince him that his father was merely cleaning his gun and it went off accidentally, something Sebastian knows is not true. The house, of course, is sold, and Sebastian returns to the boarding school that he will call home for the bulk of his childhood. When he is finished with school he comes back home -- his mother has married a genuine creep and all three of them know that living with mom and her new husband is not in the cards for Sebastian. He takes up the photography profession, and it isn't long until he becomes known for his work. He eventually comes to have quite a name in the art world, money, and a lovely woman beside him, but there is something quite dark deep down inside of Sebastian that prevents him from happiness. He also knows that if the situation with the woman becomes serious, he will end up "hurting" her. He is a very strange person, and it will come as no surprise to the reader at all, given his past, that he ends up becoming the only suspect in a murder. (This is not a spoiler by the way; a lot of this outline is on the back cover). While in jail, Sebastian requests that Konrad Biegler become his defense attorney, and Biegler, who is recuperating at a Swiss hotel for burnout, takes the opportunity to get back into the courtroom once again. But as he will discover, and not only from his client, there is truth, and then there is truth. 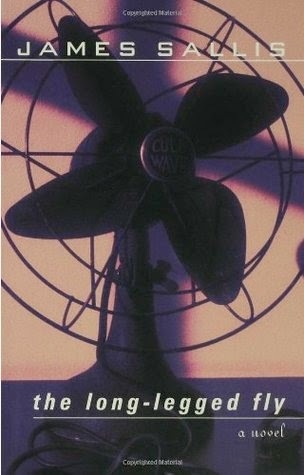 If that all sounds cryptic, it is meant to be -- to tell is to spoil so it's one that is best experienced on one's own. I will say that long before this story was over I had figured things out (hoping as usual that I was wrong) -- but not the who or the how, and I was still blown away. Throughout the book I was entirely wrapped up in von Eschburg's world of darkness and pain almost to the point of claustrophobia, and truthfully, I enjoyed the getting there more than the reveal of the actual solution. 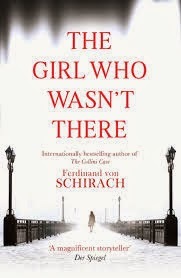 von Schirach is a great storyteller, and while this book is very different than his The Collini Case, which I absolutely loved, there are a number of the same elements that are explored in The Girl Who Wasn't There. This is an incredibly intelligent novel that demands a reread -- and after the second time through, the book made much more sense. What he does here is so different than the norm that it was actually refreshing from a reader point of view. As noted earlier, it's not so much a crime fiction novel, but I can't exactly explain why without ruining things. It is, however, one of the better books I've read so far this year and is certainly a candidate for favorite books of 2015. Definitely recommended.